30 Days to finish your screenplay! Think you can do it? We do! And we've set up steps, assignments, and objectives to help you do so. Join your fellow writers and take the 30-Day Challenge. Our industry is evolving and the competition is steep. It's time that you learn how to develop a script as quickly as possible, but also how to make that script worthy of submission. The Live Challenge Officially Began on April 20, 2017 and ended on May 19, 2017, but you can sign up at any time and use this as your own personal 30-Day Challenge. Let's make this simple. We need to be writing every day. Writers need to know how to utilize their time, and how to get the most out of their writing sessions. Most of us have day jobs, parenting responsibilities, or extra-curricular promises that tend to chip away at the available hours of every day, much less the so-called creative energy it takes to sit our butts down and crank out our next story. Like any other creative or business venture, you need a plan AND a finite goal even before you sit down to do the work. With the 30-Day Screenwriting Challenge, we have not only set up such a plan and goal, but we've given you a structured framework within which you will be able to approach the completion of a screenplay (feature or TV) in 30 days or less. In this 30-Day Challenge, we are giving you a series of written lectures, audio recordings, assignments, and daily inspiration that will get you organized, prepared, and working. It's all here for you, but now it's up to you and your own personal level of motivation to get the work done. Are you up to the challenge? We think you are. If you're looking for more long-term support from Max and the ISA, you can inquire about Max's year-long Personal Coaching Service called The Story Farm - designed to get your material not only industry-ready, but submitted to the ISA's industry contacts. Space is very limited, and per application only. You can apply the $69 you paid for this Challenge toward your first payment with The Story Farm consulting and development service. Your material could also be evaluated by the ISA per their Development Program. Check out the Development Program Evaluation here on www.TheCraftCourse.com. Update - Q & A! The Craft Podcast - Sequence 4 Breakdown. "The Promise of the Premise"
The Craft Podcast - Sequence 5 Breakdown. "Success, Failure & the Villain"
The Craft Podcast - Sequence 6 Breakdown - "The Mid-Point"
The Craft Podcast - Sequence 7 Breakdown - "The Doomed Honeymoon"
The Craft Podcast - Sequence 8 Breakdown - "Love, Conflict, and Losing It"
The Craft Podcast - Sequence 9 Breakdown - "The Dark Night of The Soul"
The Craft Podcast - Sequences 10 & 11 Breakdown - "Why Hast Thou Forsaken Me?" The Craft Podcast - Sequence 12 Breakdown - "It's Not About the Victory"
Audio: The Craft - "A Note on Motivation - Is It All Worth It?" Day 11 (April 30) - Education and Insights with Tracking-Board.com! Tracking-Board.com - Writing the TV Pilot: Does Your Character Need to Change? Tracking-Board.com - Their Launch Pad Launches Writing Careers! Discount for 30-Day Challengers. You Have 432 Hours Left! Time Crunch Brought to You by The Story Farm. What is The Story Farm? 30-Day Challenge Mentor - Jen Grisanti! Jen's Services Just for You! Day 15 (May 4) - Half-Way There with MovieBytes! ​Are Screenplay Contests Worth the Money? Learn More about Danny and His Challenger Discount! What is a Fresh Voice & Why Does It Matters To Your Screenwriting Career? What Makes Your Voice Fresh? How Do You Hone Your Voice And Keep It Fresh? 30% off Development Services & Story Notes! The Story Farm Screenwriting Lab & Retreat - Reminder! Dude, Where is My Screenplay Option? Video: Do Screenwriters Need to Live in Los Angeles? Video: How Many Screenplays Should You Write Each Year? 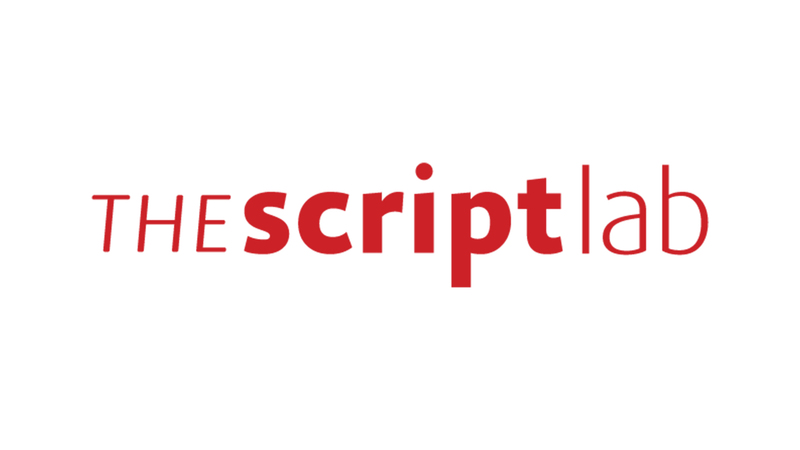 Day 24 (May 13) - The Day Belongs to The Script Lab! Villains! What Kind of Villain Is Your Character? Why is Diversity in Entertainment Important? Want to Jumpstart Your Career AND Receive Five Pages of Comprehensive Notes? Get to Know Women In Film - Become a Member! Day 30 (May 19) - Your Final Day! The Whirlwind is Not Over! 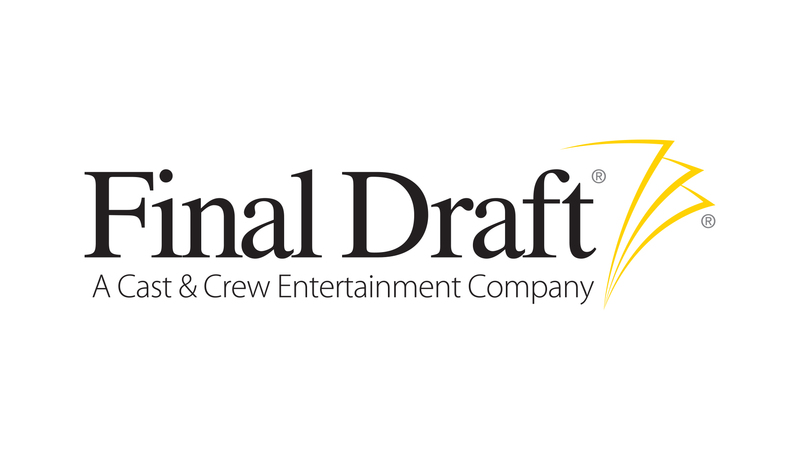 Final Draft's Big Break Contest - Discount! I enjoyed this course, it gave me the right motivation to stop procrastinating and get something written. Matt gives his experience in a way that's relatable to someone who knows virtually nothing about screenwriting. Thanks for putting this course together. It demonstrated how to break screenplay down into conceptualisable bits and how to tie the concepts together to bring the story to life. The 30 Day Challenge transformed screenwriting into an inspiration-powered creative discipline. Thank you! Lots of good food for thought and inspiration, thanks! This course has been a prolific investment of time for me. Previously, I didn't know what to do after I have an idea. How to add content to it, how to make it into a story, and how to get to writing it into a script. This course answers exactly these questions. Thank you to the people behind getting this together. I'm sure it would've been a herculean task to create and assemble the content from various online screenwriting platform and put it together in such a lucid manner. I hope this is start for me will not be the end. Thanks again. Thank you ISA. It was a bit too challenging for me to keep up, however, the content is priceless! Fantastic way to get your first draft written! I really enjoyed the 30-Day challenge and found the material amazingly helpful and professional. Comprehensive steps for the beginner and plenty of guidance for those of us who've written more than one script already. Highly recommend this! I loved the course. Very straight forward, and loads of information to keep your mind geared towards writing good stories. Very impressed to discover a lot about myself in regards to my writing. I highly recommend this challenge, or seeking the advice from the team. It's a nonsense approach to the CRAFT, of story telling. ISA's 30-Day Screenwriting Challenge is one of the most practical, helpful online writing courses I've ever seen. Thank you for sharing, in plain English, the nuts-and-bolts information a writer needs to at least have a chance of writing a screenplay properly. It's great to have a story idea and write it, but without this knowledge... The sequencing details, plot points, dialogue, and formatting instruction is invaluable. It also helps to know what can cause a script reader to keep reading or stop and throw you in the slush pile. I really appreciated your examples from popular films, to demonstrate how and why certain techniques work. For me, there's no better learning tool than a good example. (Okay, written instructions that I can refer to in the future are right up there, too.) All this information will help me turn my novel into a screenplay, and greatly improve the tiny chance that it might someday become a film. Thanks again for providing so much information, free of charge, for writers on tight budgets. I hope your generosity comes back to you many times over! Great challenge. Finished the script in less than 30 days. Still lots of - solvable - imperfections. Already started to rewrite. Living in a small village in the north of the Netherlands LA is light years away. This challenge brings it a little closer. Thanks very much, really enjoyed it. Steven V.
A must for anyone wanting to learn more about the craft! This course was amazing! I learned so much. I liked the breakdown of what the industry expects in scripts and how to deliver your message on paper. It was nice to see a supportive community striving to bring in fresh faces and offering the insight into it all. This was the first time I have seen anything available for free on contacts, material, and support into the industry. Thank you so much to The Script Lab, NetworkISA, Max Timm, and everyone else who shared their tips, their knowledge, and offering this Challenge to anyone that wanted to lean more about the craft. I think the whole point of this 30 day challenge was to challenge ourselves to better our work in a discipline manner because its our passion and no one thrusted this upon us rather than actually completing our dream screenplay hastily in just 30 days. ISA 30-Day Screenwriting Challenge SUPER HELPFUL! The ISA 30-Day Screenwriting Challenge was offered at no cost, so even though it didn't fit well in my schedule of projects, I decided to do it. I'm so glad I did; it turned out to be a very helpful exercise! I gained something every day! l especially learned from Max's lessons the first 10 days, even more than from coursework I paid for through another source. His open sharing was enlightening, as were his clarity regarding outlining, sequencing and the like. I will definitely refer back to it. While this challenge gave me an appetite to learn more about Max's writing process and the ISA's paid services, as most "free" offerings aim to do, I gleaned so much from this 30 days that it was well worth my time investment in itself. That leaves me fairly confident that other ISA courses will also be a good value. Great job. Five stars. Thanks for the details about the craft, and to the sponsors for letting us know about your products. There are some good tips from this course that will help to elevate and improve your scripts. Great material in the time available. Will Get you up to speed quickly. ISA covers so much, in so short a time, it's like a multi-semester course crammed into a single month. You can return to earlier days for review, and there is also LOTS of audio and video to help you learn the material. Great Course! As an epic fantasy writer transitioning into screenwriting, earlier this year I struggled to get through A DIFFERENT company's screenwriting course because it was 100% geared towards marketability and high concept action for feature film and I'm a character-driven writer looking to script a television series. Don't get me wrong, those skills are necessary, but sometimes it can feel soul-sucking to cater so much to marketability before you've even had a chance to get to know what your story is about. 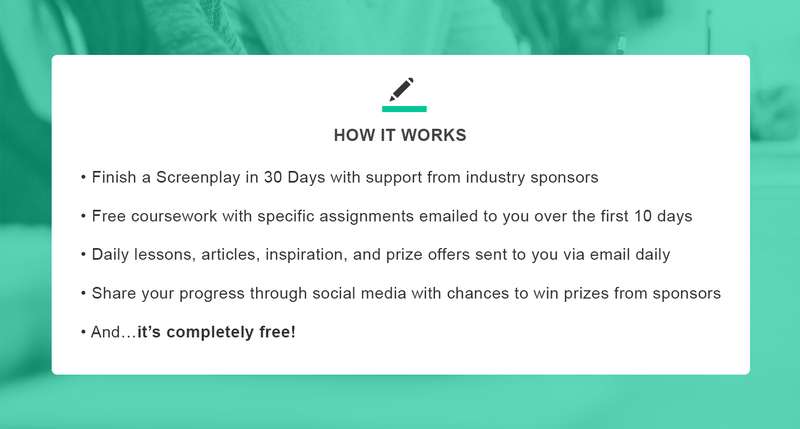 The 30-Day Screenwriting Challenge was totally different. It's character first, with suggestions to turn all those delightful traits and inner angst into external action. At the moment I'm scripting the first book of my epic fantasy book series into a 13-episode television series (with much hair-ripping) and this course helped me tap into the emotion which caused me to write the entire book series in the first place, dig into character motivation and wounds, and use it to generate script-able action and drama based on what is actually in the book rather than all the Hollywood bells and whistles, the thing that's been causing me to spin my wheels before I took this course. I especially like that this course -did- cater to either feature film, or to television series. Recommend! The presentation is a breather, great formula. Literally brings the craft to page. Good information, generously given, well presented, examples easy to follow. Well thought thru. Truly: a bargain. Mahalo nui loa.